The Congregation of the Sons of the Immaculate Conception tries to combat major social inequalities in Peru. It desperately tries to respond to the strong need for health and education. The parish of St. Eulalia, West of Lima, on the slopes of the Andes, embraces several small villages. It is a poor territory where nobody wants to go so the challenges are very big. 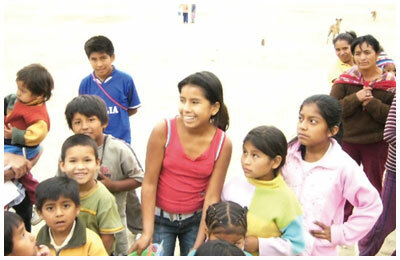 SOS Niños was the first project in Peru that was funded with support from a distance. 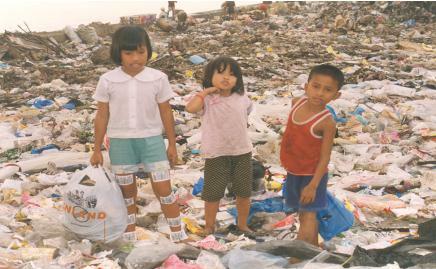 In operation since 2003, the project now assists more than 100 children scattered in 13 locations throughout the region. It composes a structure devoted to social, educational and rehabilitation activities to help children and youth of nearby communities, in “Valle de Santa Eulalia”, which extends from 1036 metres above sea level up to 4500 metres above sea level. In the Valle there are 21 communities. There is only one road that links all the homes. This is a dirt and soil road, very tortuous and runs along the sheer-falling sides of the mountains, with deep precipices. It is difficult to drive along, especially during the rainy season, that goes from December to April. The youth who become part of the “S.O.S. Niños” Project, take part in the various farming communities. The purpose of this centre is to provide a point of reference especially for the youth of the so-called “zonabaja” (low zone) of Cuspanca, Parca Alta, etc ., who live close to the Centre. They obtain support for their school and social activities. Some of them are either fatherless or motherless, others are orphaned, but not because their parents are no longer alive, but simply because they have been abandoned, or because their father drinks, while others live with their grandparents. Most of them live in shanties, made with straw mats or similar vegetable materials, where essential services, including water and electricity are missing. The purpose of the “S.O.S. Niños” Project is to reach out to other possible people in need, by means of support at a distance, because settlements are often far away from one another and it is not easy to physically meet the minors and the youth,. This becomes a key tool that would allow to provide them the help they need (food, clothing, school materials).